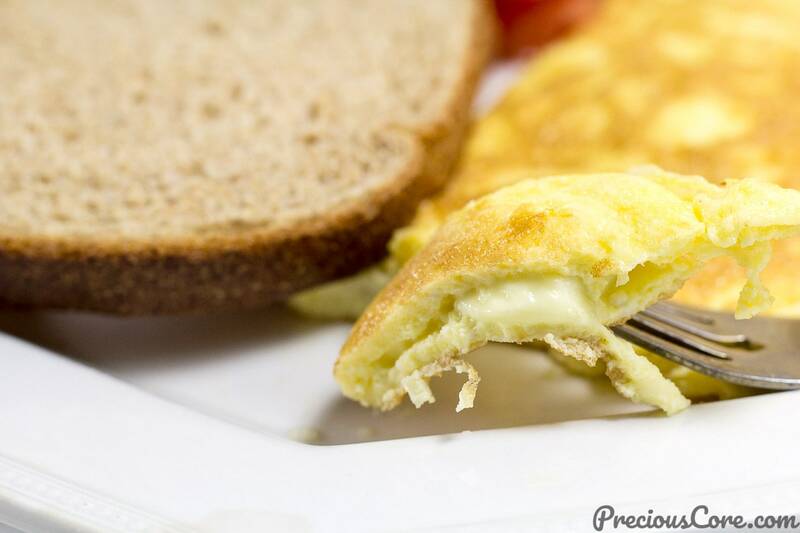 Take your omelette/omelet game a little further with this easy cheese omelet recipe. 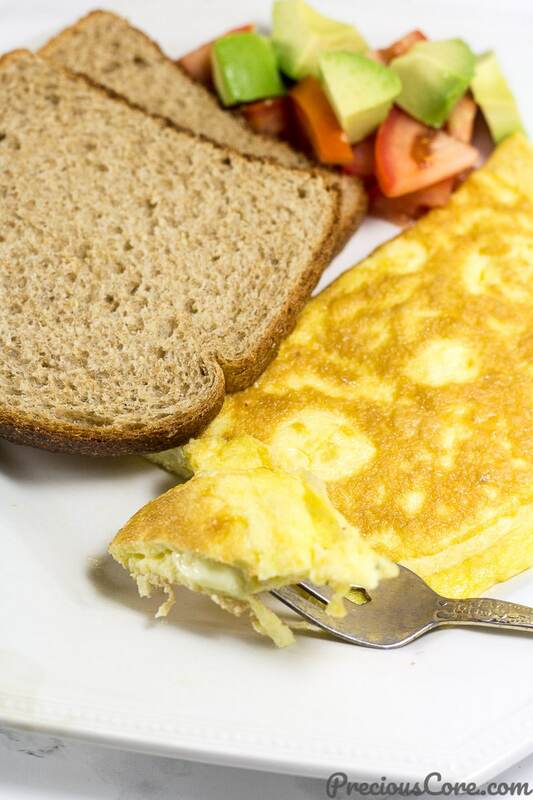 A little bit of cheese makes all the difference in your omelet. 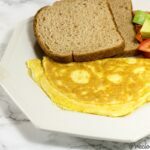 Here is how to make an omelet with cheese plus there’s a giveaway near the end of this post! Because of that meat post I decided to start visiting a farm around me to get eggs because eggs in my fridge are essential. You have no idea how safe I feel when I have eggs at home. It is very egg-citing! But when there are no eggs, I get nervous. So I bought dozens of eggs to take care of all my egg needs. Since we have lots of eggs, time to have a little fun. 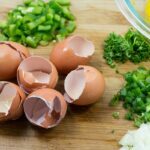 Make some cheesy omelets/omelettes! 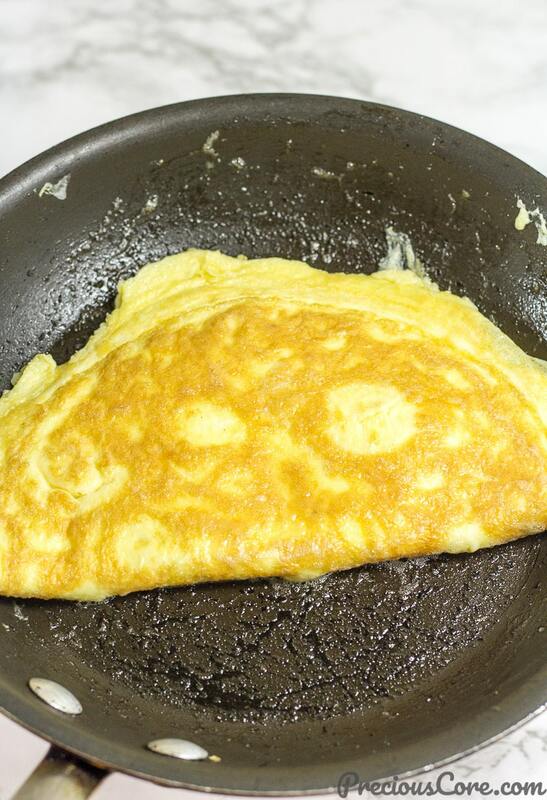 In case you are wondering what the difference is, “omelet” is the American way of spelling it while “omelette” is the British way of spelling it. I spelled it as omelette all my life but since I now live and work in America, I’m going with omelet in this post. 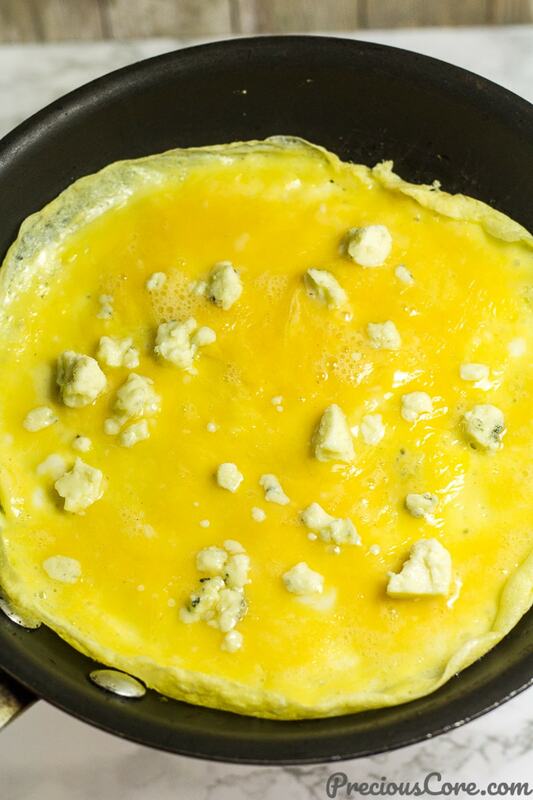 I used blue cheese also known as bleu cheese to make my cheese omelette. When we moved to the United States, my sister-in-law gave me an advice about cheese. “Don’t buy blue cheese!” she said. And after reading on the internet about blue cheese, I totally understand why. Blue cheese is not shy in its taste. It is sharp pungent and filled with blue veins which are actually mold. 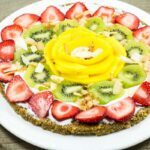 But a word like mold is not always a bad thing when it comes to food. The same way bacteria is actually needed for yogurt to be formed. I cringe when I say that but it’s bacteria that makes delicious yogurt. 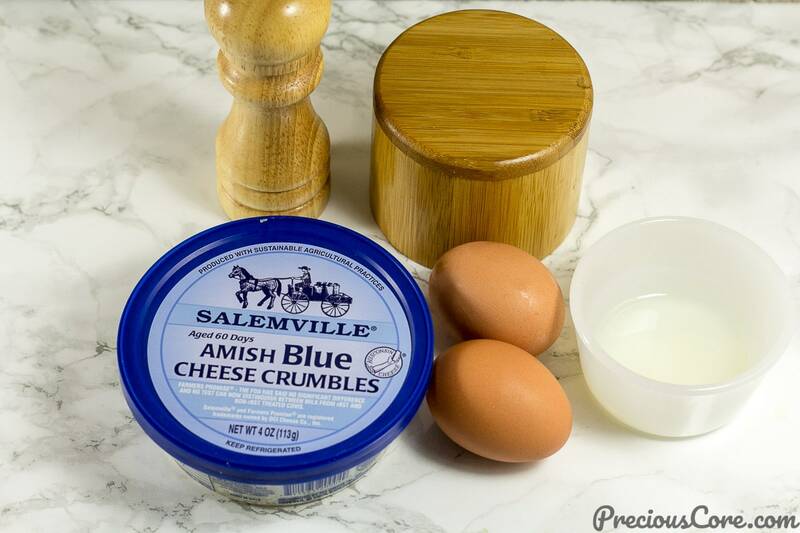 So the delicious mold gives this blue cheese its unique taste which is great in an omelet. 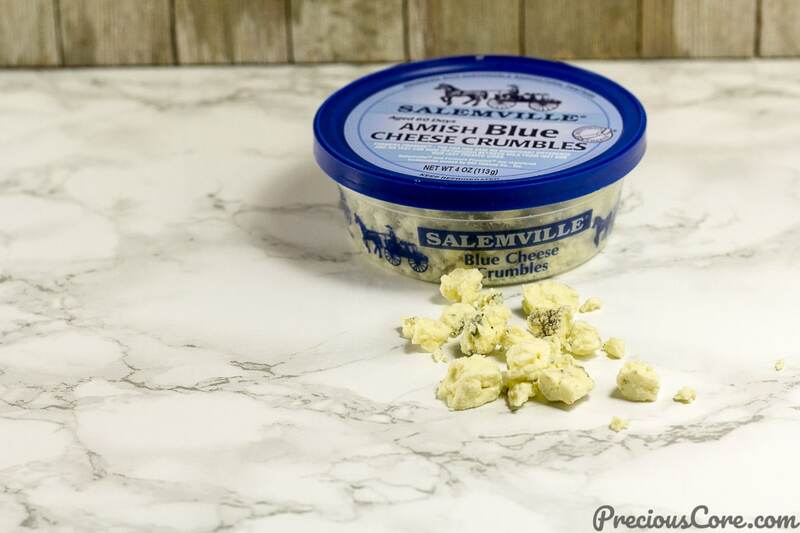 I particularly love the Salemville® blue cheese because it is made by an Amish community with no preservatives and cows that are milked by the Amish farmers. Talk about values! You can get this from any of the large stores in the US. 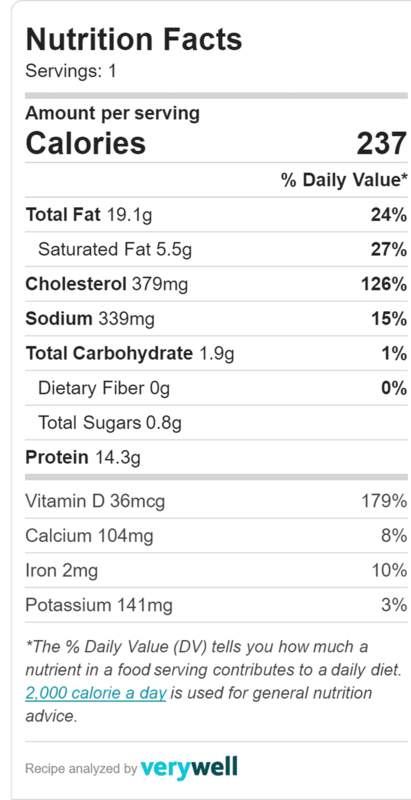 So here is what we need to make some easy cheesy omelet. For the cheese omelet need eggs, salt, pepper, oil and some cheese. Step 1: Place the eggs in a bowl and add the salt n pepper. Step 2: Beat them together. Step 3: Pour oil to heat up in a pan then add in eggs and let them set on low heat. Sprinkle cheese on top. Step 4: Fold the egg into half and let it cook for about 1 more minute. And that my friends is how to make an omelet with cheese. I love serving this with some whole wheat bread and some freshly chopped tomatoes and avocado. These all go so well together. This is DIVINE! 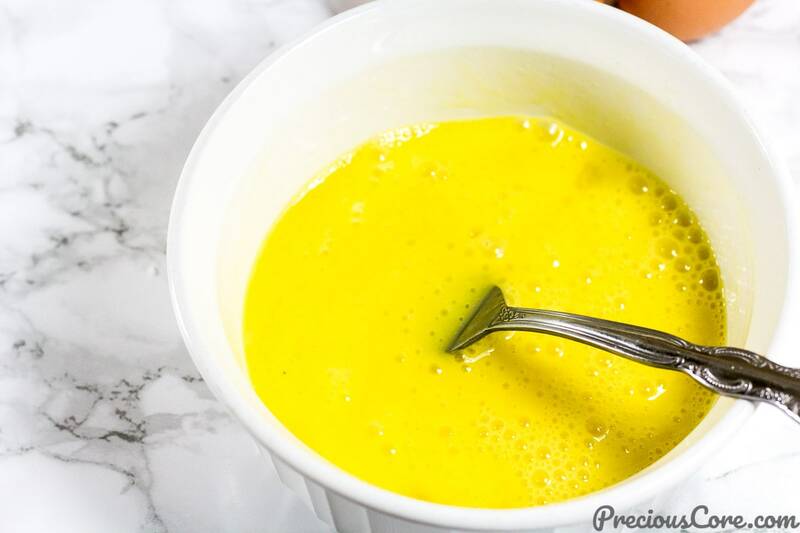 Simple tasty eggs with melty tangy cheese on the inside. It is so good! 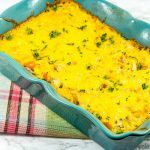 With all the hustle and bustle of this season, why don’t you slow down and make yourself a good breakfast like this cheese omelet breakfast? 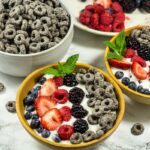 Check out the full printable recipe below! 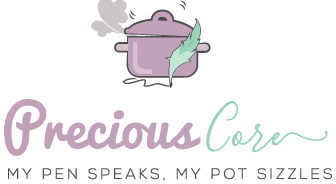 It’s giveaway time! now From through December 31st, you can enter to win a grill smoker valued at $1,000 from Salemville®. 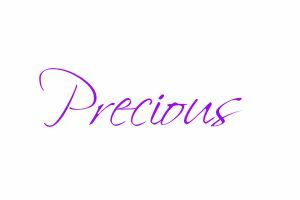 Click here to enter the special holiday giveaway. 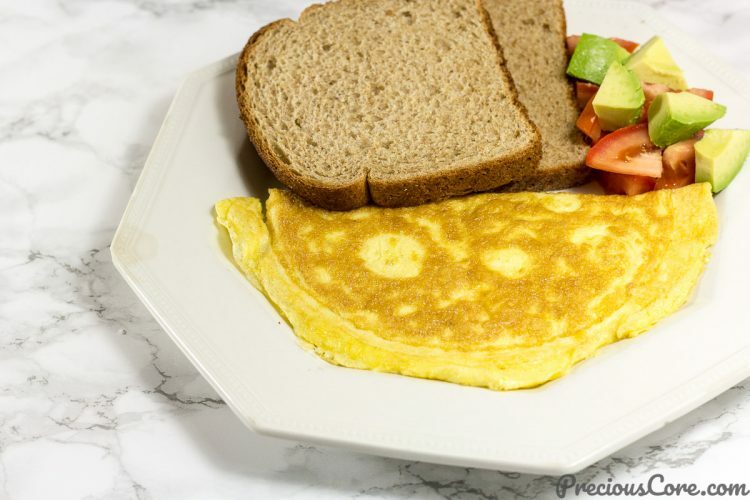 This easy cheese omelet is the perfect breakfast recipe. 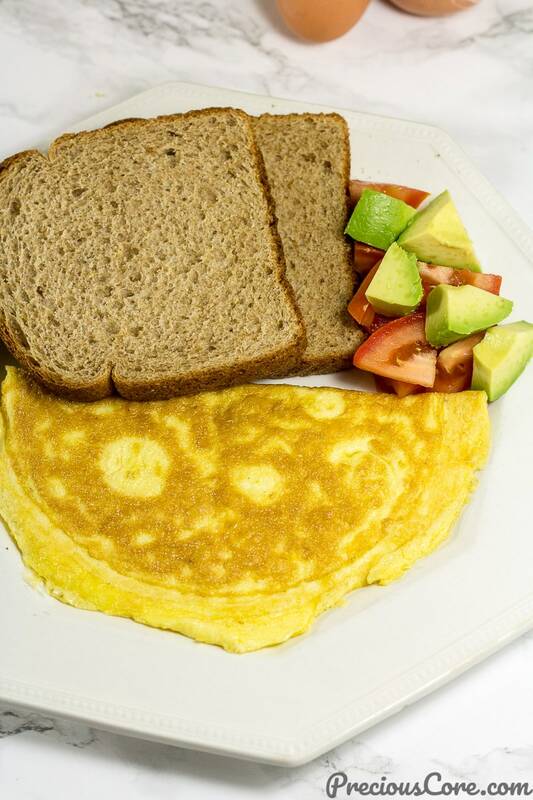 I love serving it with whole wheat bread together with some freshly sliced tomatoes and avocado . Ready in 10 minutes! In a bowl. beat the eggs together with salt and pepper. Place oil on a skillet and set to heat up on high heat for about 2-3 minutes. 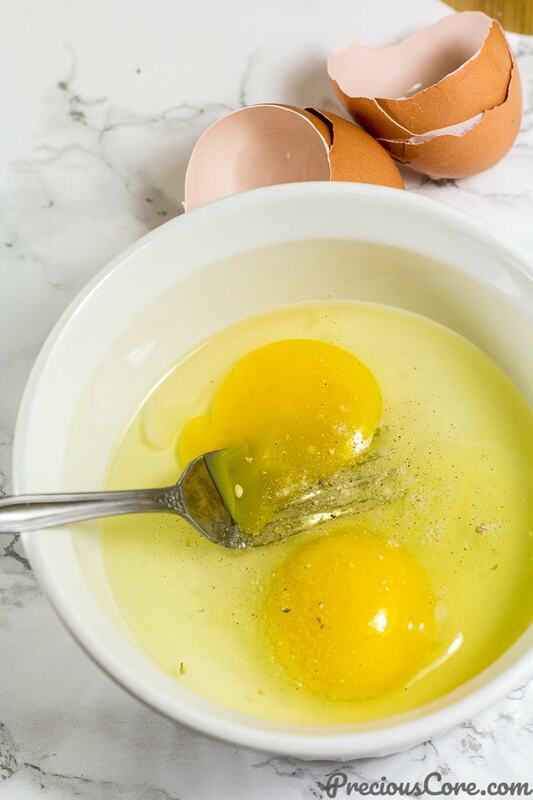 Turn the heat down to low then pour in eggs. Swirl around to ensure that the eggs coat the bottom of the pan. Let them cook until the eggs start to set at the top. Sprinkle cheese on top then fold egg into half. Flip and let it cook for about 1 minute. Remove and enjoy with bread and some sliced tomatoes and avocado if you like.